1. Work area with polish stainless steel plate which is more smooth and wear-resistant. The cabinet surface adopts cold rolled steel or stainless steel. It’s widely used in the clean environment, such as: micro-electronics, laboratory, national defense, precise instrument, bio-pharming, optical-electronics, aseptic packaging, etc. 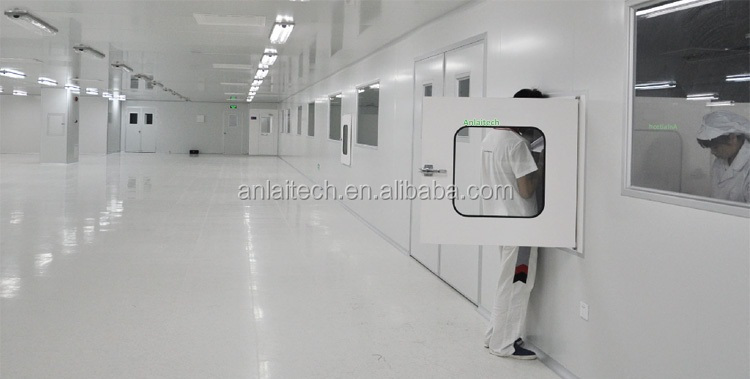 1.It has the function of air valve to prevent high pressure to leak in the clean room. 2.It can reduce the time when operating personnel walk to prevent bring dust in and keep the stability of the clean room. 1.It’s adopted polish stainless steel inside, which is flat, neat and wearable. The surface material of pass box is cold rolled steel or stainless steel. 2. Doors in two sides with mechanical or electronic interlock device make two doors can’t be in the open state at the same time. And we also can supply Interlock Pass Box for you, wish to pleasant cooperation.